Our Nestlé Buncha Crunch Movie Candy Box is filled with bite-sized bits of the creamy, crispy, milk chocolate candy that's been a favorite for generations. It's a movie-time crunchy treat with a distinctive taste, texture and sound. Each pack contains 6 Buncha Crunch Movie Boxes. Sweet City Candy is your wholesale candy headquarters. 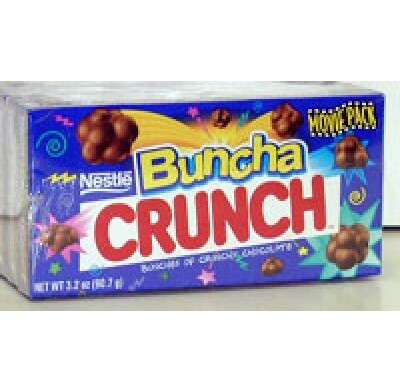 Enjoy bulk Nestlé Buncha Crunch Movie Candy Boxes delivered fast, right to your door at low wholesale prices.